Before they can even get unpacked, Havocs leaders have a message for new and returning GCU students: “We want you!’’ Indeed, maintaining the incredible spirit of the Havocs is an all-in enterprise. “It takes every single student,’’ Havocs Co-President Jake Bradshaw said. The learning process begins on Thursday at Lope-A-Palooza, an incredibly entertaining event featuring Thunder, the Cheer and Dance teams, the Thundering Heard Pep Band and the Havocs. 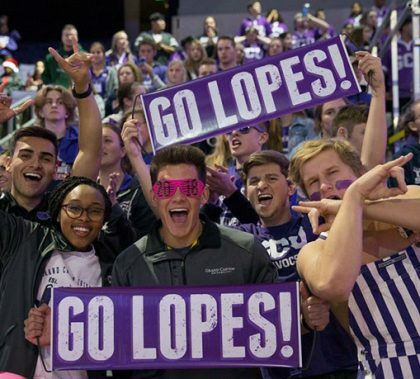 It is the perfect time for students — who all are inherently Havocs — to learn the chants and movements that give the Lopes a home-field and home-court advantage.